Halal Certificate Registration in Indonesia Review by Michal Wasserbauer on 18. 1. 2018 Company Registration in Indonesia, Market Research in Indonesia, Work Permit in Indonesia, Product Registration in Indonesia, Local Partner Selection in Indonesia, Trade Mission in Indonesia, Company Formation in Indonesia, Company Establishment in Indonesia, Company Set Up in Indonesia, Payroll Outsourcing in Indonesia, Tax Reporting in Indonesia, Medical Product Registration in Indonesia, Medical Device Registration in Indonesia, Cosmetic Registration in Indonesia, Food Supplement Registration in Indonesia. Halal industry in Indonesia has been seen as a gold mine for many investors. We are not trying to exaggerate things, amounting to 14 percent of the total Muslim population in the world is in Indonesia. Among the 250 million people in Indonesia, approximately 88 percent of them are Muslims. As of 2017, 1.8 billion Muslims have taken over 24 percent of the global population; the fastest growing population of the major religion. Neighbouring Islamic countries such as Malaysia and Brunei put a lot of emphases and focus on the Halal industry. Indonesia, however, has not yet created a mature set of Halal regulations. The following guidance will give you a solid idea of its current standards and processes. What is Halal and Halal Certificate? People often ask how to define “halal” — literally, it means “permissible” — while the answer could be either simple or a little complicated, here is the basic concept of halal: consumer goods such as food, drugs and cosmetics that do not contain any Haram ingredients. Haram is the opposite of halal; everything that contains pork, animal blood, and dead and poisonous animals. Even more, slaughtering non-haram animals without Islamic-Law compliance is haram. A halal certificate is a declaration to proves that halal products are in accordance with the Islamic Sharia laws. For businesses to label their products as halal, halal certification is mandatory — for Muslims to judge if certain products are permissible to consume or use. The highest authority to certify and issue a halal certificate in Indonesia is held by the National Body of Halal Assurance (BPJPH). The inauguration happened in October 2017 and works in coordination with Indonesian Ulama Council (MUI). MUI is one of the highest authorities on Indonesian Islamic affairs; in charge of setting up the halal compliance standard and issuing the Halal fatwa. Under the MUI, the two major authorities, namely The Food, Drug and Cosmetics Assessment Agency (LPPOM), and MUI Fatwa Committee, are responsible for halal assessment, audit and declaration. Though up until recently, acquiring halal certification was of a voluntary initiative, this has changed. Now it is more important to understand the registration process in this biggest halal market than ever before. 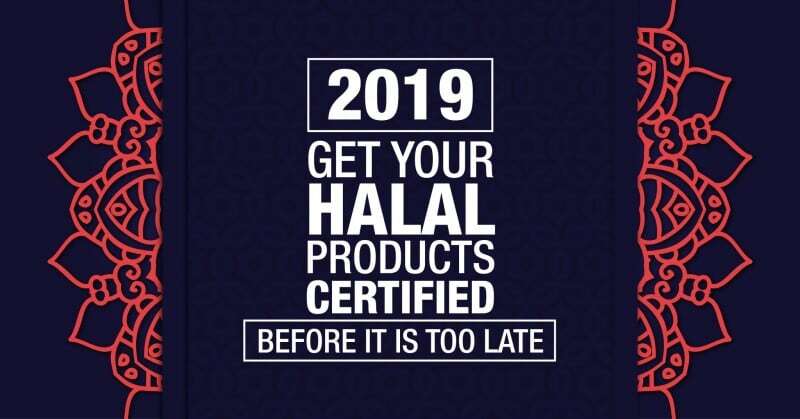 Both existing businesses and investors who would like to sell or distribute products in Indonesia must know that all non-registered halal products will become non-halal in 2019. Step 1: Fulfill MS23000 halal requirements with materials, product and production process, and implement Halal Assurance System (HAS). Step 2: Prepare all required documents for halal certificate application. Submit the documents to Cekindo, along with the registration fee and halal certification contract fee. Step 3: Fill out documents, in accordance with certification status, as required by LLPOM MUI during the registration process. Submit the documents to Cekindo for LLPOM MUI to process. Step 4: Guidance is provided for pre-audit assessment, audit, post audit, and lab analysis to ensure compliance. Step 5: Product meets HAS requirements and passes LLPOM MUI lab analysis. MUI issues the certificate. In accordance with Sharia Law, a company cannot associates their brand/product name or insinuate with anything haram. MUI prohibit packaging, design, and nature of a product (i.e. sensory characteristics) that imitate anything haram. Article 47 of the Halal Law shows that halal-certified products and materials that come from overseas will only have to be registered at BPJPH and later sold and distributed in Indonesia as without any change in their halal registration status. However, not all foreign certificates will be allowed to go through this convenient process and those certification institutions that are not on the list will have to be assessed by BPJPH. To reiterate, all non-registered halal products that are sold or distributed in Indonesia will be considered as non-halal from 2019. A huge number of products has not been registered yet and delays in a process are expected. If you need further assistance regarding Halal certificate registration in Indonesia, simply fill in the form below. We would be happy to provide professional advice and support so that all your products can obtain Halal certificates as soon as possible.